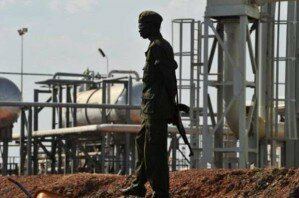 South Sudan has one of the highest oil reserves in Africa. country’s oil sector in what would be the largest investment in the east African country’s history. Ezekiel Lol Gatkuoth confirmed Friday’s signing of the memorandum of understanding with South Africa’s energy minister, Jeff Radebe. Radebe tells state broadcaster SABC that both countries would benefit. South Sudan has Africa’s third-largest oil reserves, at 3.5 billion barrels, and it hopes increasing production will help the country recover after a peace deal was signed two months ago. One analyst warns that despite the signing there’s no guarantee the South African money will come through, though if it does it would be “incredible”. South Africa would join Chinese, Indian, Malaysian and other interests in South Sudan’s oil sector.